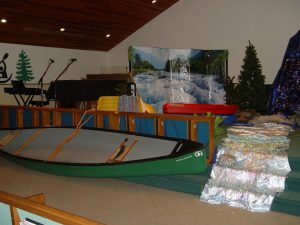 Rolling River Rampage: Vacation Bible School Fun! 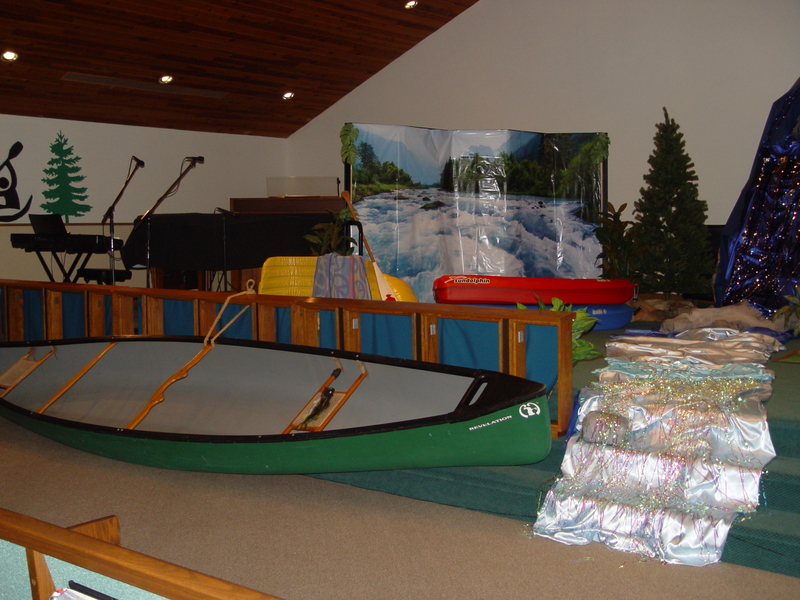 Vacation Bible School rocked and rolled with great music, exciting science, creative crafts, fun recreation, and memorable Bible stories…all to help us learn that God is always with us as we ride the rapids of life!!! This year’s VBS mission project was Kids’ Food Basket of Muskegon. We are still collecting smooth/creamy peanut butter, fruit or applesauce cups or pouches, granola bars, cracker packs, toasted oat cereal (Cheerios), cheese crackers, pretzel twists, and snack size zipper baggies. We’re hopeful to fill the canoes by the end of July!